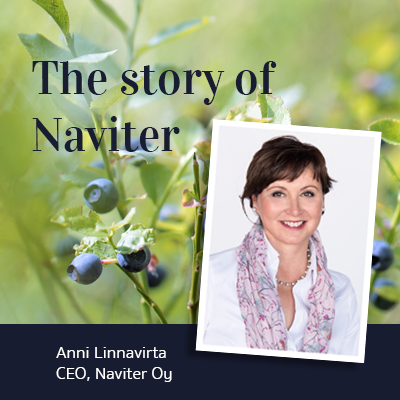 The origins of Naviter lie with founder’s, Anni Linnavirta, own skin care problems, as cosmetics products caused adverse reactions in her skin. Suitable products were hard to find and, typically for a person with sensitive skin, the walls of the bathroom began to line up with simply unusable products. A background in the medical industry gave Anni great tools in examining the contents and raw materials of cosmetics products. Soon a thought of her own, well tolerated and highly effective professional line began to take root. 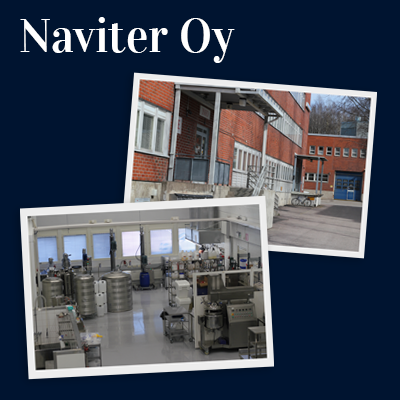 Naviter Inc. is a fast-growing Finnish family business, that develops and produces innovative skin and hair care products in Herttoniemi, eastern Helsinki. The products are developed, produced and packed in Helsinki, from where they are shipped directly to resellers without the involvement of third parties. Naviter already employs 20 people, five of whom are family. Naviter is specialized in professional, natural and medical cosmetics, and products suited for sensitive skin. Naviter also develops and produces products for other brands. ATOPIK – Pharmacy cosmetics for sensitive skin. Sales through pharmacies. BTB13 – Patented cell stimulant, with Anti-Age and Medical product lines. Sales through cosmetologists and hairdressers. Over 100 resellers. 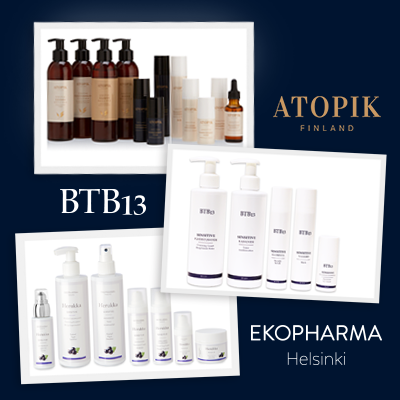 EKOPHARMA – Healthy and beautiful skin through the power of Finnish berries. Sales through cosmetologists and hairdressers. Over 400 resellers.